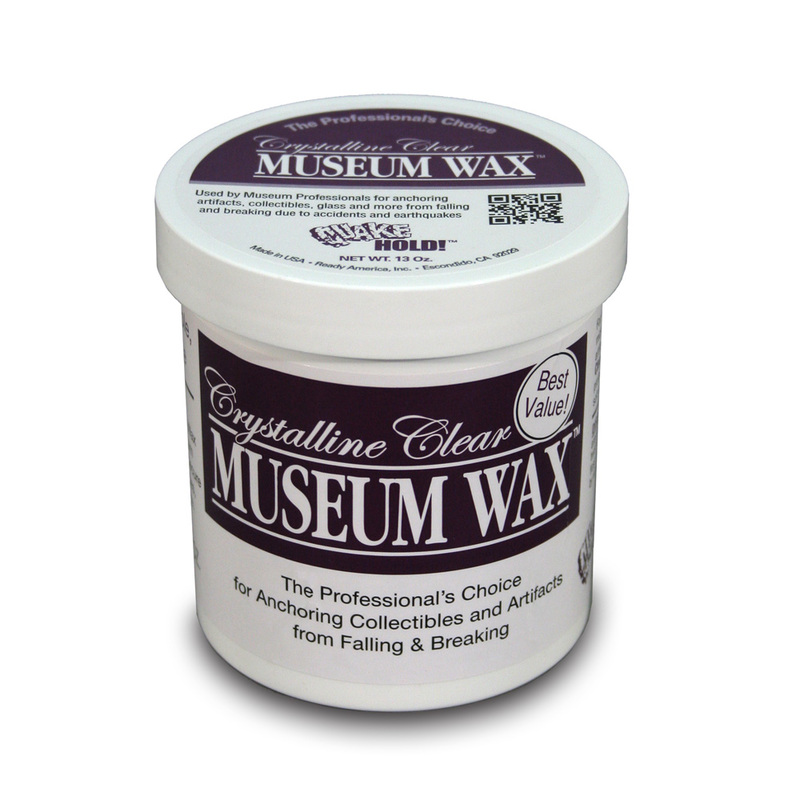 Museum Wax is the same formulation used by museum conservators. Removable, reusable and non-toxic. 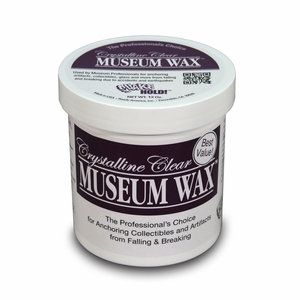 Great for securing antiques and collectibles from falling and breaking. Scoop out a small amount with the pick provided and roll into balls, or strips and apply to base of object. Press object to surface. To remove, twist and lift from the base.